Solve your automation projects using the software tools for visualisation from Pilz! Our software solutions guarantee you easy and intuitive handling combined with maximum suitability. This ensures you always have a comprehensive overview of your entire plant! 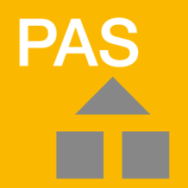 PASvisu is a web-based software package for visualisation of automation solutions from Pilz. The visualisation software consists of the configuration tool PASvisu Builder and PASvisu Runtime.